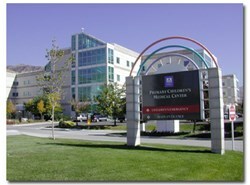 Parents reveal the real-life challenges of finding and administering cannabis oil to help treat their toddler son, Salt Lake City’s first pediatric cannabis patient, at Primary Children’s Hospital. If your child was drowning in a lake that was federally illegal to swim in, would you break the law and jump in to save him or would you watch your child die? Just 0.3 milliliters of *cannabis oil. One tiny drop. That’s all it took to replace the cocktail consisting of seven toxic anti-nausea drugs that doctors administered around the clock to Cash Michael Hyde (aka “Cashy”), who at 2-years-old was the youngest medical cannabis patient in the United States in 2010. But it wasn’t the doctors who decided to make the change in treatment. It was Cashy’s father Mike who boldly made the switch after months of watching the prescribed medication torture his son. It only took two weeks of cannabis oil administered through his feeding tube for the toddler to regain some of his youthful energy. He started eating again. And laughing. His head was finally off the pillow. That year, Cashy survived some of the most horrifying side effects of the chemotherapy and bone marrow transplants. 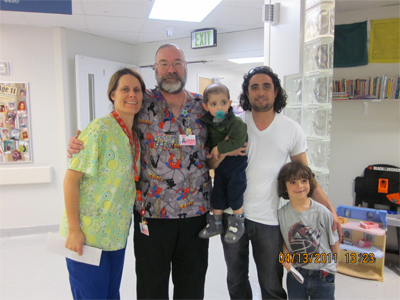 He endured: septic shock, stroke, pulmonary hemorrhage and pulmonary hypertension. After his fourth cardiac arrest episode, his doctors announced that he would have brain damage, organ failure and practically no chance of survival. Cashy’s parents had to listen to the doctor say that their son was going to die. Cashy’s doctors were shocked. The nurses at ***Primary Children’s charted his improvement. They watched him come off of all his nausea and pain medications, while he continued to receive high-dose chemotherapy and bone marrow transplants. They named Cashy the Christmas Miracle of 2010. In 2011, Montana legislators and law enforcement officials ****repealed the state’s medical cannabis law, cutting off access to cannabis oil completely for Cashy’s parents, residents of Montana. Several weeks passed without any oil added to Cashy’s feeding tube. The toddler’s brain cancer returned. His parents, without any alternatives to ease his pain, were forced to put him through intense cranial and full-body radiation. "If your child was drowning in a lake that was federally illegal to swim in, would you break the law and jump in to save him or would you watch your child die?" asked Mike. Cashy’s parents jumped in. They did what they could to find enough cannabis oil to return to the routine that saved his life once before. They begged, they pleaded and they fought. They were forced to break laws and shatter rulebooks. But it wasn’t enough. The state had made it impossible to get the amount of cannabis oil that they needed to give their son a chance at beating an incurable disease one more time. The situation in Utah was not any better. Although the state has some of the best cancer treatment centers in the nation, the Hydes were told that a cannabis treatment was out of the question. The desperate parents had no support from any doctors and were being held back at virtually every decision. Trapped in a corner, the Hydes went public with their decision to give Cashy cannabis oil. They had been through so much that they felt obligated to tell their story. They had watched their son beat cancer with the help of cannabis and then watched again as the one medication that was saving his life was ripped out from under them. Their story went viral, but no policies were changed. Ultimately, Cashy succumbed to his cancer. The Hydes laid their 4-year-old to rest in November 2012 in the Mount Calvary region of Salt Lake City after a long, hard and heroic battle. Kalli, a registered nurse, is an experienced medical professional who wholly supports the therapeutic benefits of cannabis in the treatment of cancer – especially in the treatment of the *****seven children who die daily from just the pharmaceuticals they’re given to fight their disease. What if we could save those lives by replacing those toxic ******nausea and pain medications? We can. 0.3 milliliters of cannabis oil is all it takes. The Cash Hyde Foundation, founded by Mike and Kalli, has teamed up with United Patients Group to make sure the proper resources and education are available to parents facing the same struggles, and to lead the way for change in Utah. 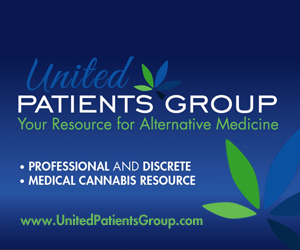 With the leading network of doctors, scientists, strain breeders and oil makers in their corner, United Patients Group and The Cash Hyde Foundation has an endless resource to cannabis oil for suffering patients of all ages. These partners are more motivated than ever to fight for the personal rights of pediatric cancer patients in Utah and across the nation. To find out more about medical cannabis reform in Utah contact Mike Hyde with the Cash Hyde Foundation 406-370-0091 or John Malanca with United Patients Group 415-524-8099.